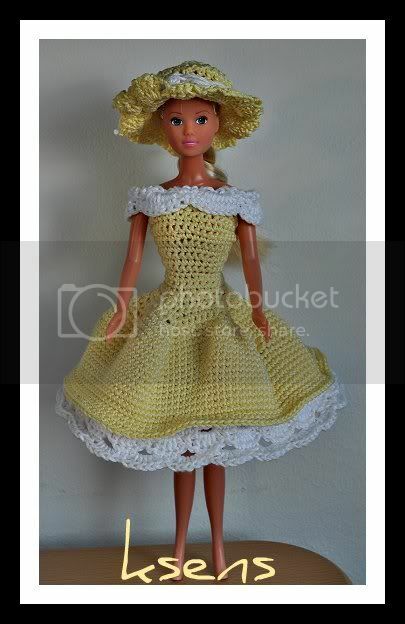 This is currently my favorite Barbie dress! I even have no more comments to add about it since I feel any further comment on my part would be to much because I am more than bias on this matter :-). Thus I will leave it up to you to judge how pretty it is or how it is not. There is just one more thing I must do and that is to thank my sister for buying this color thread (even if she did buy it for herself and i stole it) that was so beautiful it was in itself an inspiration. 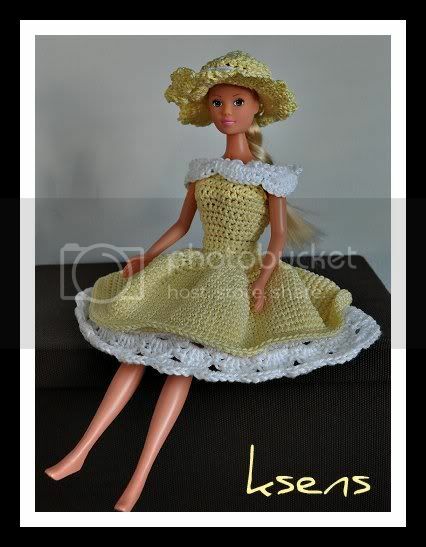 It was made with crochet hook 3,5/E with sc stitches across the yelow part, and a standart shell motif for the rims.